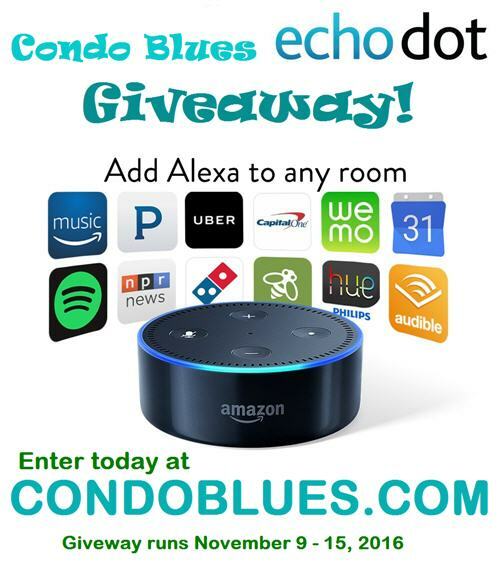 Condo Blues: Amazon Echo Dot Birthday Giveaway! I'm throwing a reverse birthday party and you are invited. What is a reverse birthday party you ask? 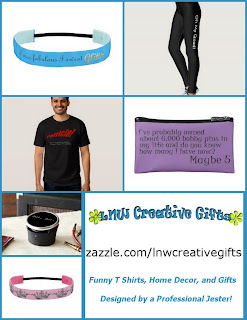 It is a birthday party where I give YOU gifts! One of the things on my vacation shopping list a few years ago was to bring back either a Minion or a House Elf from Universal Studios. Husband thought I wanted a toy. No. I wanted a REAL one to help around the house. Sadly, they are fictional but flash forward to right now this minute in time and there IS a real live way to make your life easier - The Amazon Echo Dot! 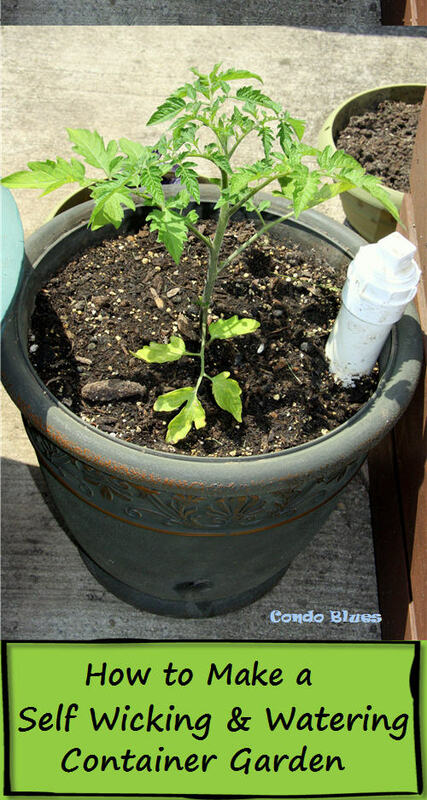 Best of all it doesn't need feeding, or clothes, or has a nasty habit of punching things. And I am giving one Amazon Echo Dot away on Condo Blues!!! What is an Echo Dot? The Echo Dot is a hands free voice controlled device that uses Amazon's Alexa to do your bidding and turn your house and entertainment system into the smart home of your choosing all with your voice. No more hunting for remote controls, wall switches or your cell phone! You can use Alexa to control smart home devices (lights, fans, switches, thermostats, garage doors, sprinklers, and comparable devices from Philips Hue, TP-Link, ecobee, WeMo, SmartThings, Insteon, Nest, and Lutron) with voice commands. Just like Star Trek! You can download apps that allow Alexa on the Echo Dot to read you your Google Calendar, order a pizza, read shopping and to do lists, read you the news, and more. They work independently, you don't need an Amazon Echo to use Dot. And you could win an Amazon Echo Dot on Condo Blues!!!!! Giveaway will begin on Wednesday, November 9th at 12:01am ET and will end on Tuesday, November 15th at 11:59pm ET. The giveaway will be open worldwide. Winner outside of the United States will receive the cash equivalent of $50 via Paypal. Good luck!